This gallery contains aerials captured Dec. 5, 2014 during Race 5. For more images, go to the Main Menu, click Galleries & More > Sailing and select a Melges 32 gallery by date. Use the Search button to find images by Bow #, Sail # or Yacht Name. Aerials are in the gallery entitled "Melges 32 Aerials, Dec 5, 2014". 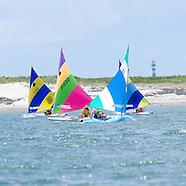 For additional images, from the home page, click Galleries & More > Sailing and select a gallery. You can also search by Bow #, Sail #, Yacht Name. Aerials are in the gallery entitled "Melges 32 Aerials, Dec. 5, 2014". Additional images are in Melges 32 Worlds galleries by date. Search by Bow #, Sail #, Yacht Name. Light wind and scattered thunderstorms capped the last day of racing for Biscayne Bay Yacht Racing Association's 2013-2014 series. Smiles prevailed nonetheless. Many thanks to PRO Mike Catalano and to the Race Committee for doing its best to keep the course fair and square. Have a great summer, Everyone! The Barnacle Society hosts a regatta for classic boats - and boats inspired by the classics - on the original date of Washington's Birthday, February 22nd. View images from the 2014 event here, then click on "Videos" (upper right) for two short clips from the start of the last race. See the March 2013 issue of http://www.southwindsmagazine.com (page 58) for coverage of the event. Additional 49er coverage at www.49er.org. Click on Galleries/Sailing in the menu above for image galleries from the RS:X, Finn and Nacra 17 classes. See the March 2013 issue of http://www.southwindsmagazine.com (page 58) for coverage of the event. Click on Galleries/Sailing in the menu above for image galleries from the 49er/FX, Finn and Nacra 17 classes. See the March 2013 issue of http://www.southwindsmagazine.com (page 58) for coverage of the event. Click on Galleries/Sailing in the menu above for image galleries from the 49er/FX, RS:X, and Finn classes. Awards images will be online as of Monday evening. Go to the Sailing Collection and look for the 2nd gallery. Racing images to follow soon! Life at the extreme makes a stop in Miami. The 2012 Volvo Ocean Race (formerly the Whitbread Round-the-World Race) covers 39,000 miles from Alicante to Cape Town, Abu Dhabi, Sanya, Auckland, Itajai, Miami, Lisbon, Lorient and Galway. Here are a few images from the Miami stopover May 6-20, 2012. Lots of regattas send competitors around an island. But few do so against the background of one of America's oldest lighthouses with wild ponies looking on. This year, 16-year-old Ashland Parks quelled the myth that local knowledge rules. Having raced round-the-island only once before, Ashland arrived a day early with her Dad for the practice race and succeeded in moving ahead of last year's winner, Sonya Dean, after passing the bridge on the last leg. After clearing the gate at the start, competitors may race around the island in either direction. The winning strategy - plan your course so that you are sailing downwind through the marshes with the centerboard up. Blue skies and and a south-easterly that built to 15 knots set the pace for four windward-leeward courses in which the men dominated the top three overall finishes followed by the top woman and another surprising youth women's sailor. With Cape Lookout as backdrop for the leeward mark, a record number of spectators boats, and awards hosted by the Core Sound Museum, it was a great day on the water! If you don't see an image of your boat, please send a description using the Contact button above. Please include boat name, sail number, make, spinnaker color, and other identifiers that might help (like the color of your hat, gear, etc.). Sporadic rain and grey skies can't spoil a good race! Anthony Kotoun, Brad Funk and Bora Gulari demonstrated the art of foiling in 4 to 8 knots of breeze at Event 2 of the Layline Miami Moth Winter Series, hosted by Coconut Grove Sailing Club. A preview of images from the Melges 20 Nationals, hosted by Coconut Grove Sailing Club, FL, November 11-13, 2011. MIAMI - OCTOBER 30, 2011. On the quest for Olympic gold, skipper Anna Tunnicliffe of Plantation, FL and crew Molly Vandemoer and Debbie Capozzi won the Olympic Women's Match Racing Qualifiers on Biscayne Bay. The win qualifies the team to race in the second trials in Weymouth, England in May 2012 where Olympic sailing events will be held 3 month later. Follow the team at www.teammaclaren.com. For complete results, visit http://sailingteams.ussailing.org/Events/2011WMRTrials.htm. Images are in chronological order. 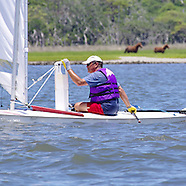 SEARCH TIPS for HARKERS ISLAND REGATTA: Search first by sail number. If the search return is empty, try by sail color or life vest color. EXAMPLE: white sail, yellow life vest OTHER KEYWORDS: start, bridge, marshes, mark roundings, finish, Round-the-Island, and Round-the-Buoys. TO ORDER PRINTS ONLINE, click on the blue "Add to Cart" button (upper right corner). FOR PACKAGE DISCOUNTS OR MORE INFORMATION, use the "Contact" button to send a request. SEARCH TIPS: Search first by sail number. If the search return is empty, try by sail color or life vest color. Don't use "and" "&" or "or". EXAMPLE: white sail, yellow life vest OTHER KEYWORDS: start, bridge, marshes, mark roundings, finish, Round-the-Island, and Round-the-Buoys. TO ORDER PRINTS ONLINE, click on the blue button (upper right corner). FOR PACKAGE DISCOUNTS use the "Contact" button to send a request. Images from this gallery are available for editorial use by media and personal use by competitors. Visit www.dreamstime.com and use Advanced Search to search for "Olympic, sailing, photo" and Contributor Name "mramos7637". Or contact the photographer at mlr.photography@att.net or by using the Contact button in the horizontal menu above.